AATU Duck & Turkey Wet Dog Food provides your dog with a single protein diet that is complete and balanced. Made with freshly prepared preservative free meat and enriched with fruits, herbs and botanicals. 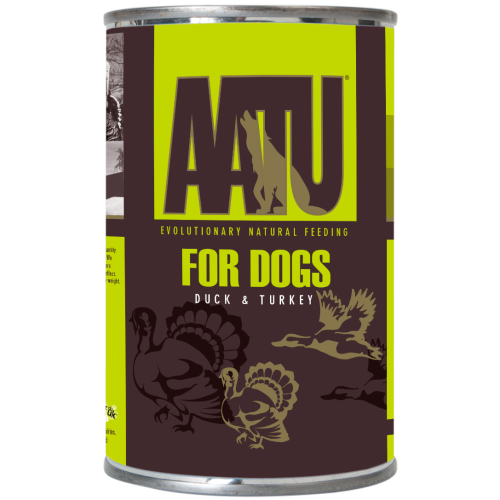 Your dog won’t be able to get enough of AATU Duck & Turkey! Free of grains, white potato and gluten – ingredients that are commonly known to cause allergic reactions. Handcrafted in small batch recipes, it’s naturally made without artificial colours, artificial preservatives and no GM ingredients!